L12BD-1.5/115AC 115/230VAC input, 1.5A output, -40C to +85C operation, 5yr. limited warranty. For 12V, 4.5Ah or larger batteries. 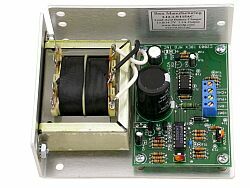 This is a microprocessor-controlled, enhanced 3 mode, open-frame linear charger/power supply. 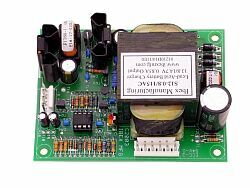 It features two available charger-status signals that can power front-panel LEDs or interface to CMOS logic. L12-1.5/115AC 115/230VAC input, 1.5A output, -40C to +60C operation, 5yr. limited warranty. For 12V, 4.5Ah or larger batteries. $107 (OEM discounts available). This is similar to the L12BD-1.5/115AC but without the battery disconnect feature. 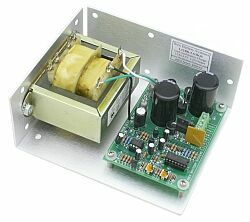 L12BD-3.0/115AC 115/230VAC input, 3.0A output, -40C to +60C operation, 5yr. limited warranty. For 12V, 9Ah or larger batteries. S12-1.0/115AC 115/230VAC input, 1.0A output,-40C to +65C operation (full output), to +85C (reduced output), 5yr. limited warranty. For 12V, 6Ah or larger batteries. Designed for extreme environments. $82 (OEM discounts available). 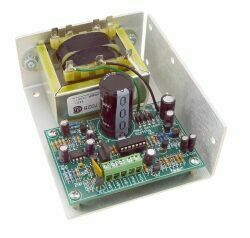 This is a microprocessor-controlled, enhanced 3 mode, bare-board switch mode charger/power supply. A charger status output signal is available to power a front-panel LED. Short circuit and reversed-battery protected. L12-0.5/115AC 115/230VAC input, 0.5A output, 0C to +40C operation, 1yr. limited warranty. Designed for low-cost charge maintenance of 12V batteries 1.3Ah or larger. 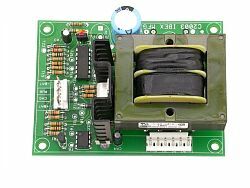 This is a bare-board 2 mode linear charger/power supply. Two charger-status output signals are available to power front-panel LEDs. Short circuit and reversed-battery protected. The output voltage is temperature-compensated and may be field adjusted.